Simon Yates continued his impressive season with a 10th place at the Fleche du Sud stage race in Luxembourg earlier this week, riding for the British Cycling Academy. Yates also added three top ten stage placings to his name at the five-stage event between May 8-12, while teammate Owain Doull rode to a fifth place on stage one. The overall was won by Danish rider Michael Valgren. Yates’ twin brother, Adam, also picked up a couple of top ten’s of his own, finishing eighth on stages five and seven of the Tour de Bretagne. Second on the podium at the Lincoln Grand Prix for the second time in two years, UK Youth’s Marcin Bialoblocki identified a lack of big races as the difference between him and race winner Peter Kennaugh, riding for Team Isle of Man. Bialoblocki and Kennaugh were the sole riders at the head of the race over the final two laps of the 13 lap, 102 mile race last Sunday. The Polish rider, who lives in the West Country, launched a series of attacks leading up to the final climb of Michaelgate but was unable to shake off Kennaugh, who broke clear on the uphill rise to the line. 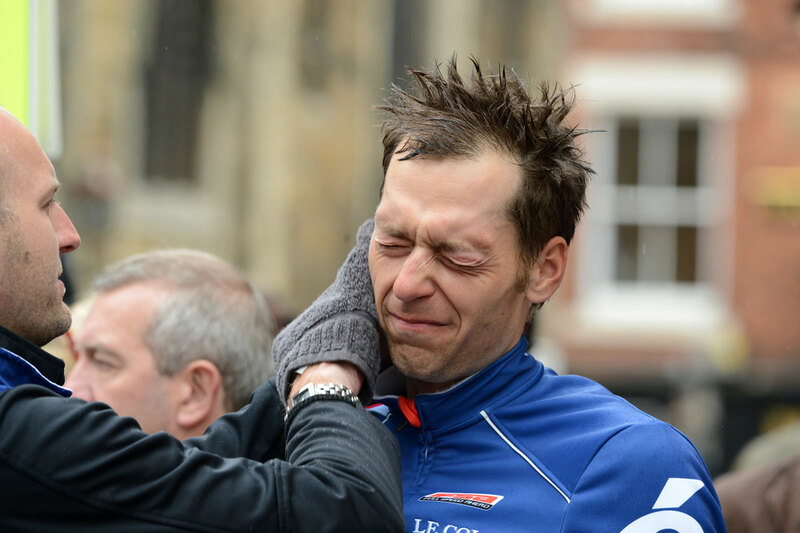 For a full report from this weekend’s Lincoln Grand Prix pick up a copy of Cycling Weekly, out tomorrow. Meanwhile the Pearl Izumi Tour Series got underway last night in Kirkcaldy, Scotland. Head to Cycling Weekly’s coverage index for reports, galleries, rider blogs and more. Fancy riding the London Cycle Sportive to raise some funds for the Herne Hill Velodrome? Save £35 on your entry by signing up to ride for the Herne Hill Velodrome Trust at the event which takes place on June 30. Three distances of 50, 100 and 160km are available and all finish at the famous South London venue. All include the climb up Biggin Hill while longer routes also route up Box Hill. All you have to do is commit to raising £100 in sponsorship. Funds raised for the velodrome will go towards the ongoing restoration work, the next stage of which looks towards building a new pavilion building at the 1948 Olympic venue. Head to the Herne Hill Velodrome Trust website to find out more. A 4km time trial up to the top of Beachy Head will form part of the inaugural Tour of Sussex this year, which will take over July 6-7 as part of the Surrey League. Starting in Eastbourne, the time trial comes straight after a road race starting in Lewes, which will be started by local MP and transport minister Norman Baker. A further hilly road race starting and finishing in Eastbourne the following day will decide the overall winner. Although entries are full, organisers are still on the lookout for sponsors and supporters. If youd like to get involved, email teamasl360@gmail.com.